Jazz School News, Thoughts and Events. 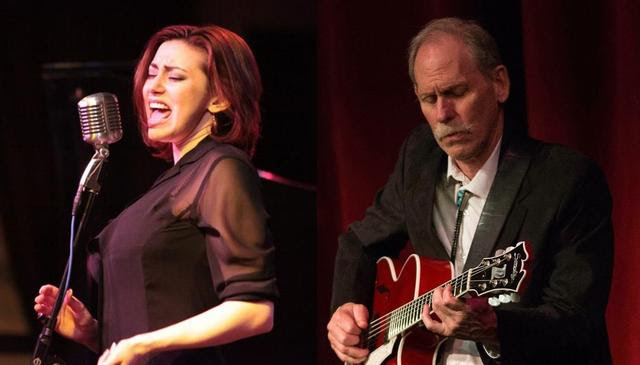 Presented by The Bloom School of Jazz and hosted by David Bloom, this clinic features world-renowned jazz guitarist Bruce Forman and Chicago-based jazz vocalist, bandleader, composer-lyricist and producer Erin McDougald. The evening will center around the difference between just playing SAYING something important. Before you can say something you need to learn how to listen. All too often, instrumentalists will play differently for vocalists with an assumption handicapping the creativity of the music. And, all too often singers treat instrumentalists as if they are "in the background" instead of inviting an intertwined voice in a cohesive narrative. Both Mr. Forman and Ms. Erin McDougald will bring our perspectives and tips for how to go from accompanying someone to really making music TOGETHER -- like a natural conversation. This is especially insightful for anyone looking to improve their improvisational skills. Bloom School of Jazz has hosted numerous workshops over the past 40 years, with musicians from guitarist Jon Scofield to tenor saxophonist Johnny Griffin. We are pleased to welcome Erin McDougald and Bruce Forman on Monday June 25, 2018 at 7:30 PM. Keep up to date on concerts, classes, workshops and more.